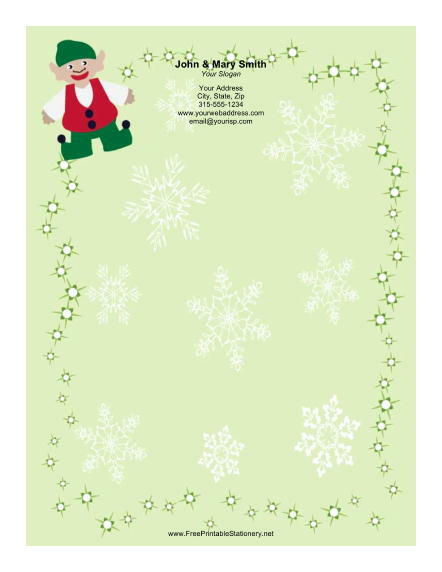 A cute elf dressed in red, green, and white is included on this Christmas stationery. The winter theme is completed by snowflakes falling against a pale green background. The abstract border leaves plenty of space for Christmas wishes to family and friends. This letterhead is ideal for personal or club newsletters in the winter season.